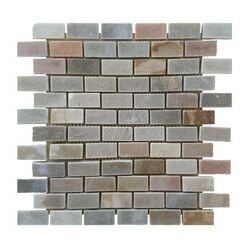 Desert Gray 7/8" x 1 7/8" slate tile features a breathtaking blend of grays, brick, and rosewood colors giving it a rustic yet warm appearance. 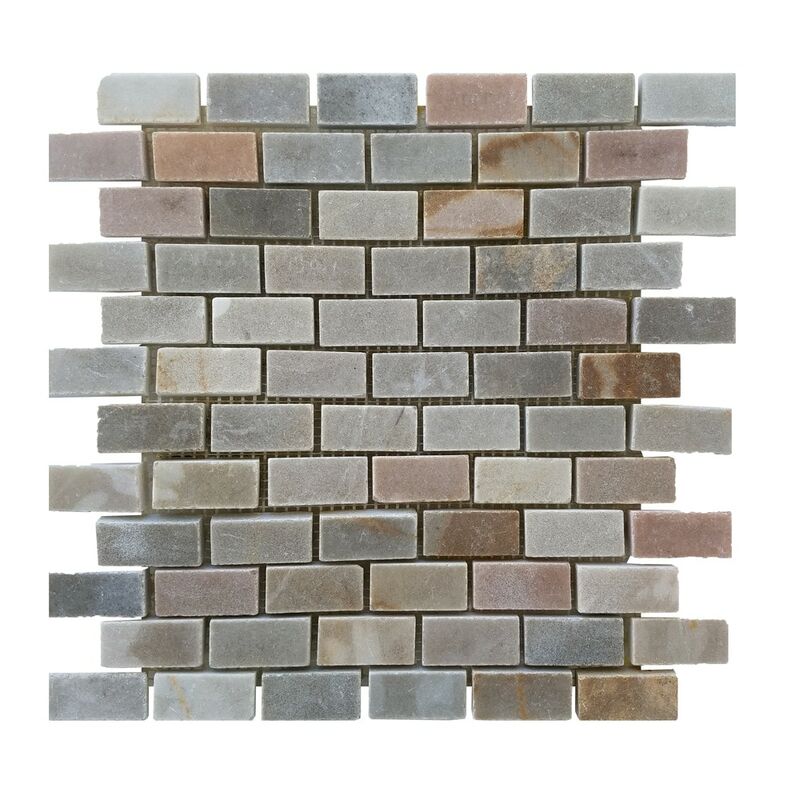 Indoor or outdoor, commercial or residential our Ardesia collection can go almost anywhere. It is available on a 12" x 12" meshed backed sheet. This is natural slate so color, shade, and finish variations are expected. We recommended that tiles are blended from different boxes when installing. This product is a natural slate, so it must be sealed.